Ready to clean up the house? You may be able to sell your items and get a few extra dollars! Guardian Self Storage has tips to sell online and storage space to store your possessions in the mean time. With the help of our Chamblee GA self storage, your online yard sale can go smooth, you can open your online store officially, the options are endless. Guardian Self Storage provides indoor parking and storage units in Chamblee GA. If you are selling your spare car, starting an online store for your business, or just need extra space, Guardian Self Storage has options. This month we are explaining how self storage can benefit those trying to clean up their homes by selling products online. Add a description to each photo that gives the customer all the details they need to make the right decision. Wear and tear? 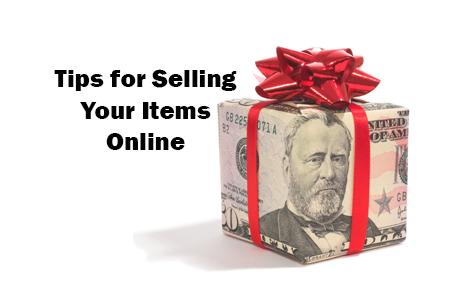 Be upfront if the item is working, has marks, or scuffs. Set a time limit to the deal. Tell a potential customer the price expires in 24 hours. This nudge helps customers make their decision fast. College students use online sites for giving back textbooks and selling school supplies after the school year. Old gaming systems may still be worth something. Moving? Cut back on furniture you may not have room for in the new place by selling it. Where Can I Sell Belongings? Guardian Self Storage is here to guide you through your storage needs. If you only need storage while you move, talk to our experts about short term storage. Maybe your business is ready to take the products online, long term storage for business is another option. Selling products or storing possessions, our Chamblee GA self storage is ready! You can also find a professional setting for meetings and an office for rent to organize your team at Guardian Business Center.